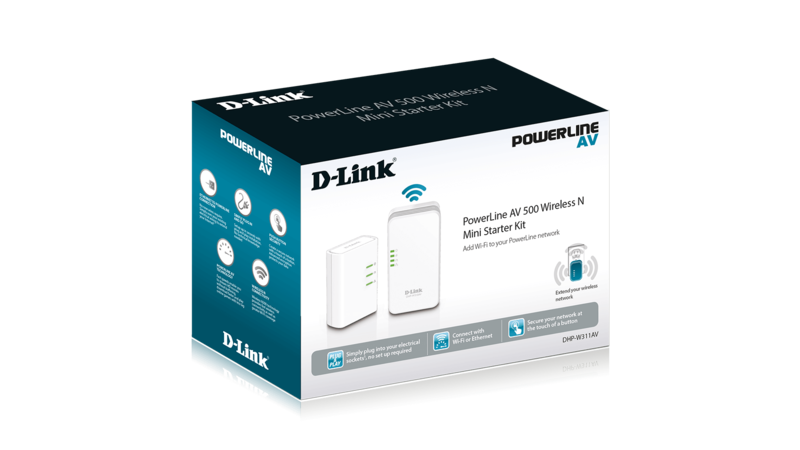 The DHP-W311AV PowerLine AV 500 Wireless N Mini Starter Kit allows you to extend your existing home network to enjoy high-speed and reliable connectivity throughout your home1. The PowerLine AV 500 Wireless N Mini Extender features both wireless and PowerLine. This allows you to benefit from PowerLine networking, compliant with the HomePlug AV standard that uses your existing home electrical wiring to extend your home network. The wireless ability allows you to increase the area in your home where you can use your wireless devices. 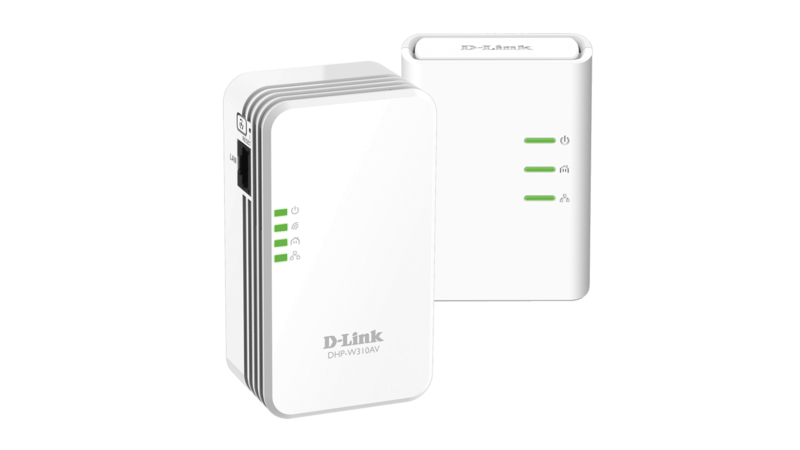 The D-Link DHP-W311AV PowerLine AV 500 Wireless N Mini Starter Kit, compliant with the HomePlug AV standard, uses your home’s existing electrical wiring to create a network or extend your existing network. It turns every power outlet into a potential network connection to access digital media devices, game consoles, print servers, computers, and network storage devices throughout your home. Additionally, Wireless N provides high speed transfers without the need for unsightly network cables. The Wireless N Technology incorporated into this PowerLine product offers increased speed and range beyond standard 802.11g technology. Initial wireless setup can be accomplished quickly, thanks to a convenient setup wizard. WPA and WPA2 encryption keep your network traffic safe and secure. This kit is capable of delivering PowerLine AV 500 data transfer rates of up to 500 Mbps and Wireless N speeds of up to 300 Mbps2. This rapid transmission speed makes it ideal for bandwidth-intensive applications, guaranteeing smooth HD video streaming, clear VoIP calls, and lag-free online gaming experiences. In addition, it prioritizes Internet traffic, ensuring that multimedia applications do not experience glitches while web surfing and downloads are in progress. This device provides ample network bandwidth, enabling digital home consumers to tap into existing electrical wiring for high-quality multimedia streaming. The DHP-W311AV plugs directly into a power outlet, and does not require any additional cables. Extend your home network by connecting multiple devices to the farthest corners of your home via Ethernet cable or Wireless N. For convenient setup, wired or wireless encryption keys can be quickly configured with the push of a button on top of the device. The adapter implements 128-bit AES data encryption to protect your network from unauthorised access. With hassle-free ‘plug and play’ installation, the DHP-W311AV is an ideal solution to create a wall-to-wall home network. 2 Maximum throughput is based on theoretical transmission PHY rate. Actual data throughput will vary. Network conditions and environmental factors, including volume of traffic and network overhead, may lower actual data throughput rate. Interference from devices that emit electrical noise, such as vacuum cleaners and hair dryers, may adversely affect the performance of this product. This product may interfere with devices such as lighting systems that have a dimmer switch or a touch-sensitive on/off feature, short wave radios, or other Powerline devices that do not follow the HomePlug AV standard.